Twitter - What's in a username? The online gold rush of 2010 is gathering pace. Late last year, Twitter co-founder Evan Williams revealed the social networking site would be releasing a host of deleted and inactive usernames back into the wild. Last week, Search Engine Land reported that Twitter is moving that little bit closer to allowing users to choose from millions of previously locked-down monikers. According to report, deleted titles will be the first batch of usernames put back into circulation. A general Twitter username makes the account easier to find. 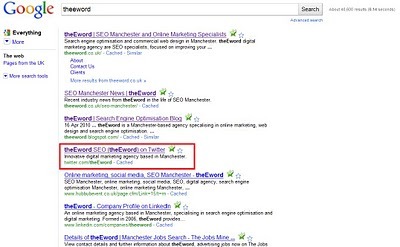 Users searching for business or topic on Twitter Search are presented with a list of relevant results. If an organisation is using a generic moniker, it is more likely to be discovered in user queries. Of course, an appropriate nickname will also help a Twitter profile show up in SERPs. As social media marketing becomes more prominent, companies want users to be able to quickly find their Twitter or Facebook profiles. Claiming the appropriate nickname on Twitter is the best way for a social profile to appear in the listings for a related search. Of course, many companies want a strong brand in order to establish themselves as the leading provider of a specific service. Indeed, users may be more likely to perceive an organisation with a relevant username as the best source for a product. There is no set date as to when these deleted usernames will be released, although companies and individuals can keep abreast of the situation by signing up for notifications about their desired moniker. Indeed, the popular Twitter Counter has established a service which emails alerts of the availability of specific usernames if and when they become available. 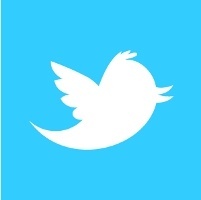 Follow theEword on Twitter for further developments regarding the release of inactive Twitter usernames.